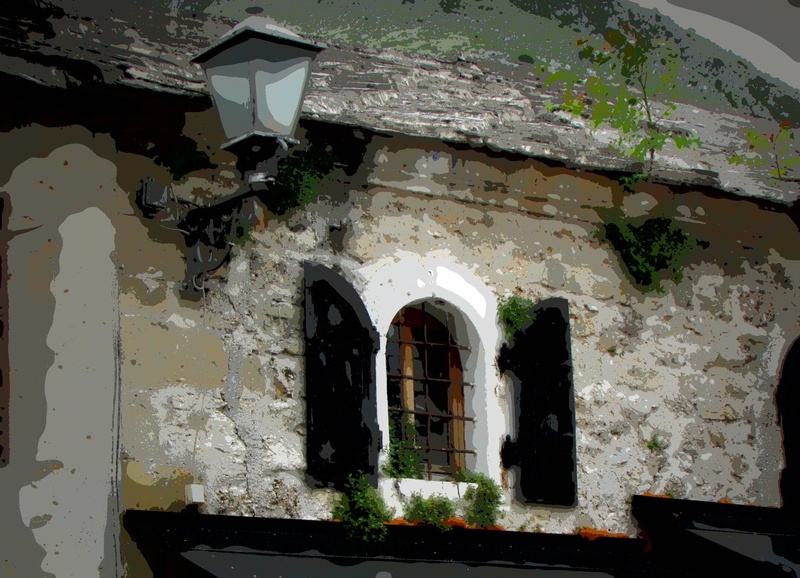 When I visited Bosnia in the spring the weather was particularly cool and damp. I wondered if my photos would be a bit dreary. I was looking through my pictures last night and realized that many of them held vibrant colour and they cried out to me for a poster treatment. 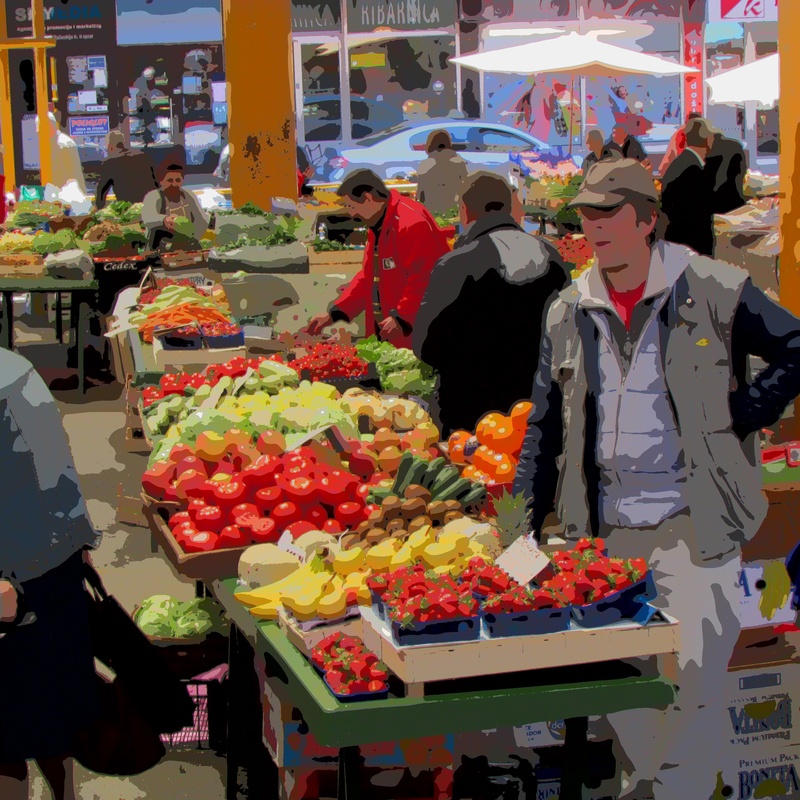 So here are a few of my photos, posterized. I don’t usually tart my photos up this way but I kind of like these. 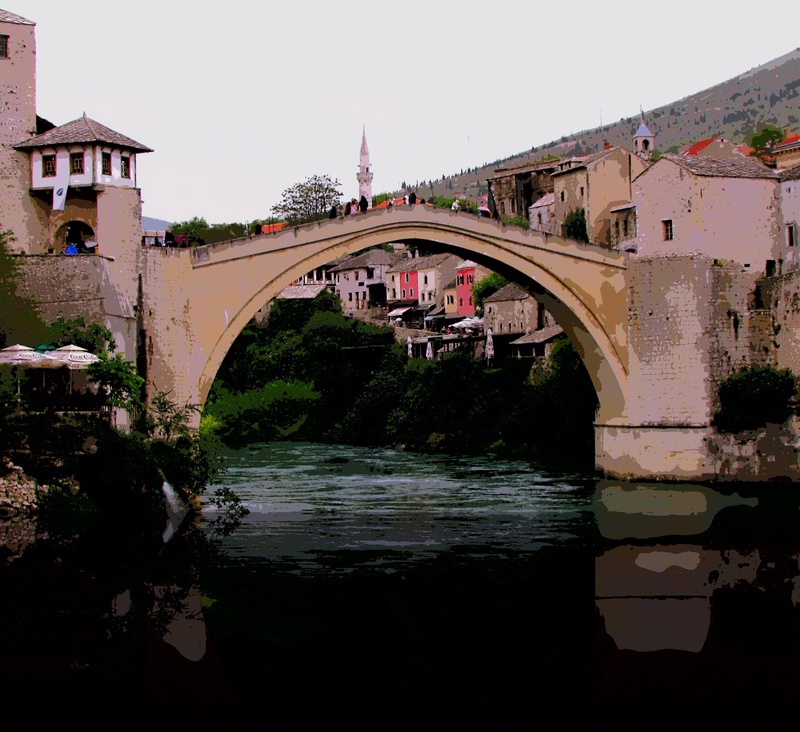 Enjoy a brief visit to Bosnia and Herzegovina. 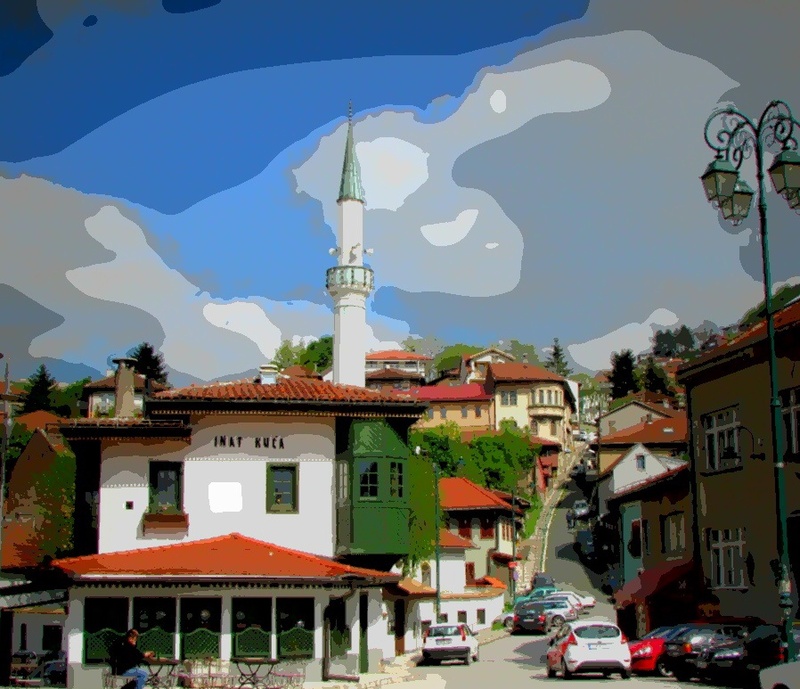 The hill behind Inat Kuča in Sarajevo. 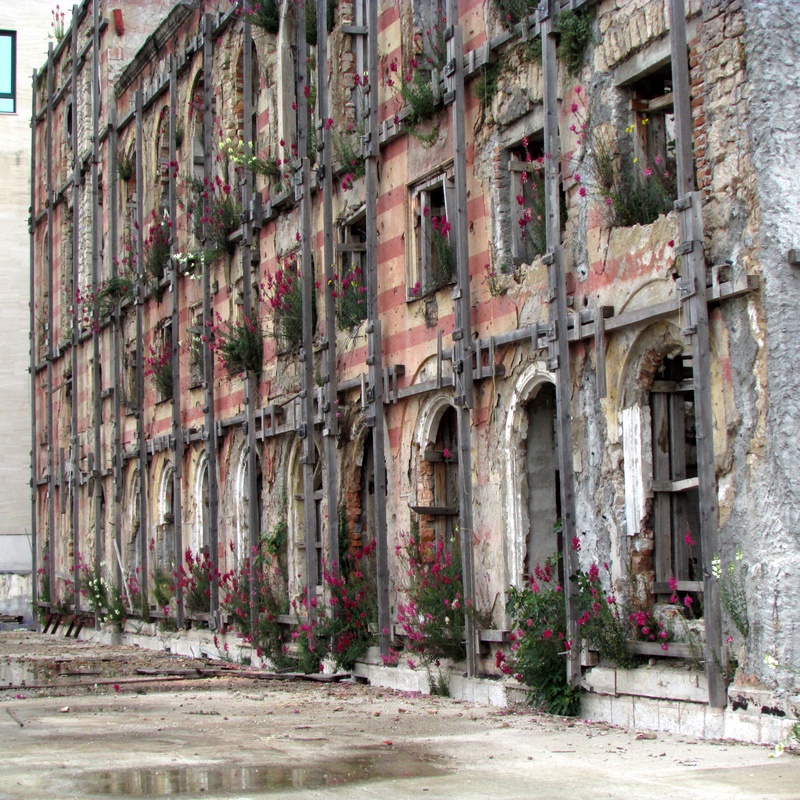 This building in Mostar near the river was heavily damaged during the war. It has been shored up with timbers. Snapdragons grow between the bricks on the window ledges. In fact, I didn’t alter this photo. This is how it looked. Dramatic. 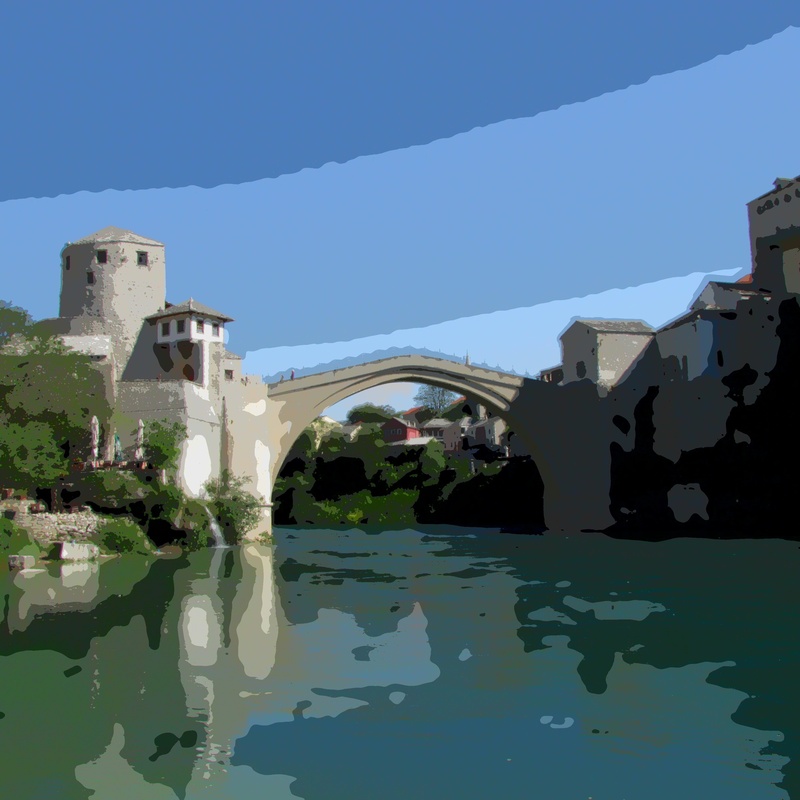 The old bridge – Stari most – from which Mostar gets its name. 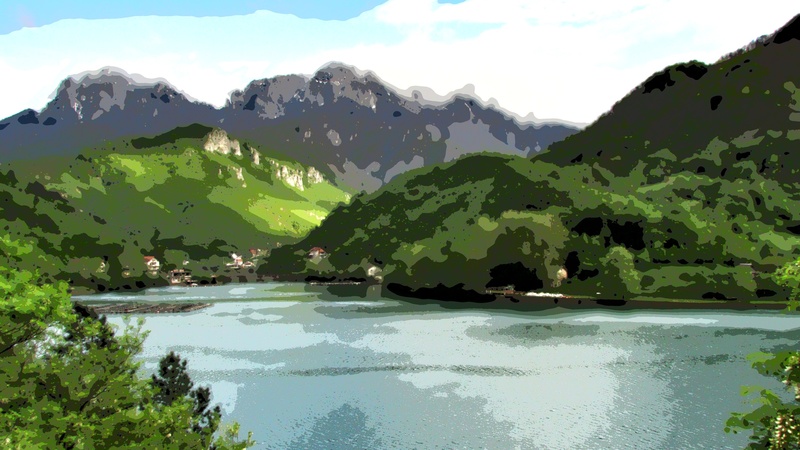 The Neretva River on the very scenic drive between Sarajevo and Mostaf. 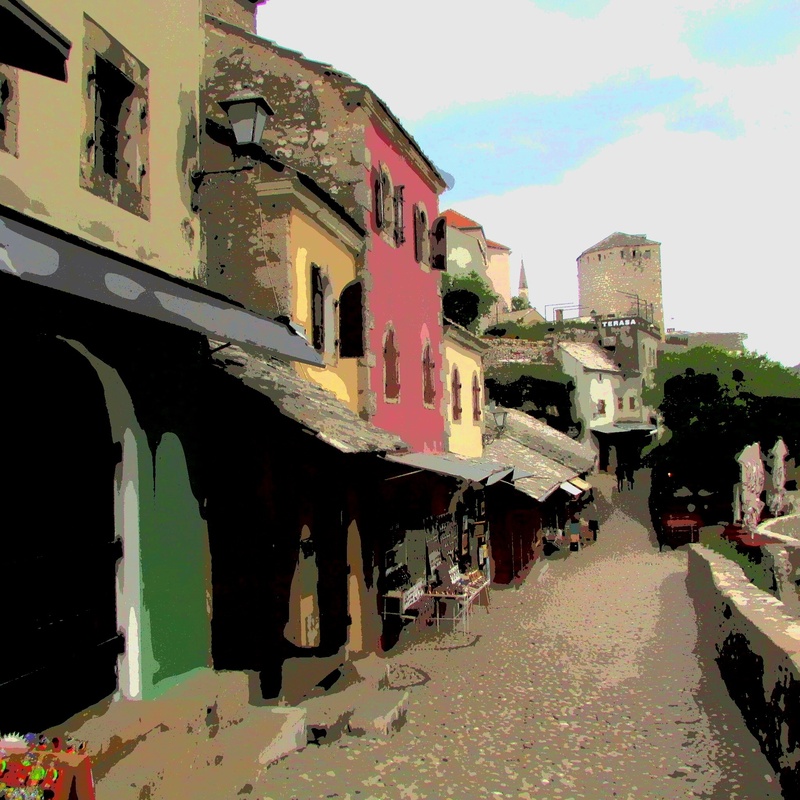 This entry was posted in Uncategorized and tagged Bosnia, John A Geddes, johnageddes, Mostar, Neretva, photography, photos, Poster, Sarajevo by johnageddes. Bookmark the permalink. 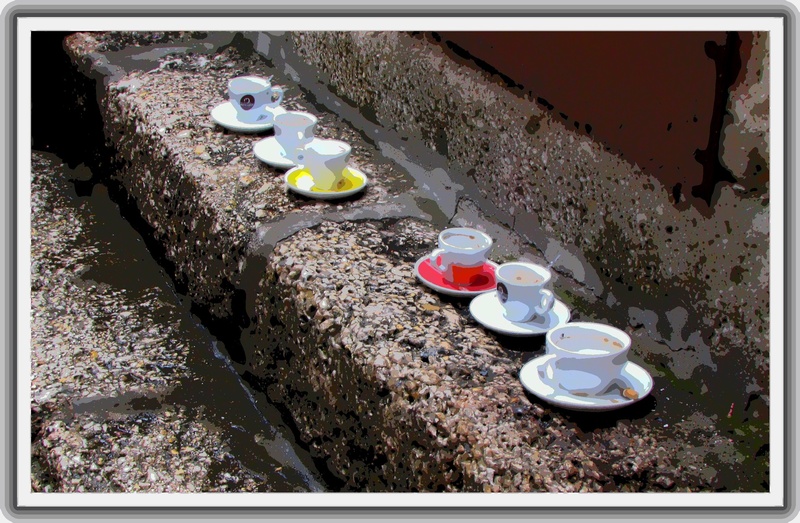 interesting effects… loved the coffee cups on the concrete.. This is their version of “take out” coffee. You never see coffee in a paper or styrofoam cup. Even offices get coffee delivered on a little tray with small china cups.